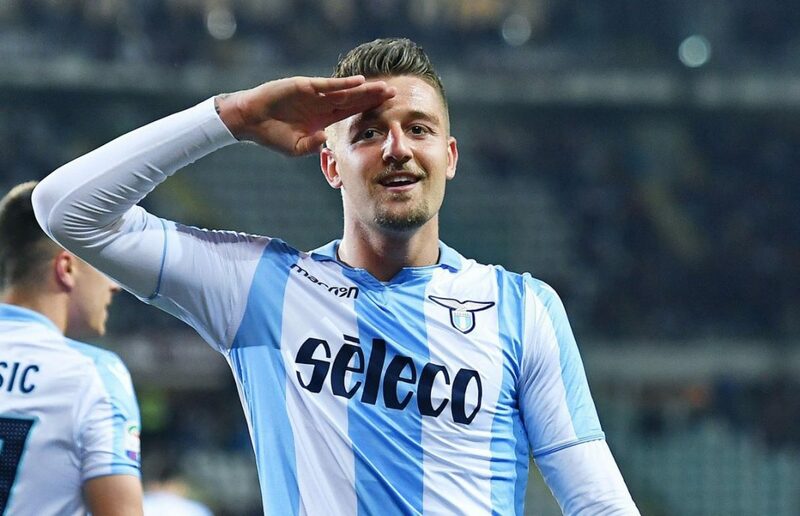 There’s a growing belief that Chelsea are in pole position to move for Lazio and Serbian international Sergej Milinkovic-Savic in this transfer window, with the Blues ready to match and rival any bid from other clubs that want to sign the 23-year old (via the Independent). Manchester United and Real Madrid, according to the report, were heavily favoured to make moves after an impressive three outings for Serbia at the World Cup, before being eliminated at the group stage. The Independent say that the Blues rivals United failed to agree terms with Lazio, having been priced out of a move from their perspective – however the longer nothing happens the more open the player and Lazio could be to cashing in and making the switch to the Premier League. Chelsea apparently view Sergej Milinkovic-Savic as the heir to Eden Hazard should the Belgian make a big money switch to a club such as Real Madrid, but with not a lot happening on that side, it appears everything is on ice, for now. The Serbian bagged 14 goals in all competitions last season for Lazio and helped his side out with an additional nine assists – that impressive form, along with mature outings in Russia have seen his valuation and stock rise significantly. The most important part of the repot for Blues fans is that it’s said that those close to Milinkovic-Savic feel he would now favour a move to Stamford Bridge should the offer come along.